For this week's ep of my podcast Apt.5B I'm chopping it up with Porsha, Gnu, Vegas, Joanna & Nick about who would have on on wax and on stage in all of those battles we wanted in hip hop that we never got like, Kane vs. Rakim, Lyte vs. Latifah, Nas vs. BIG, BIG vs. Jay, etc. 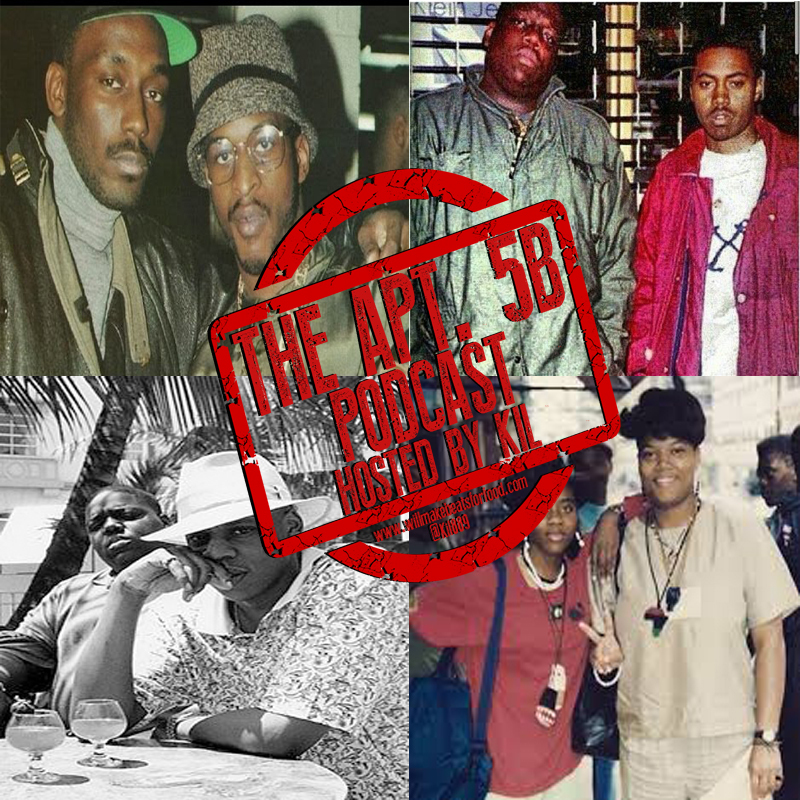 We're also chopping it up about some battles we did see that may have been too close to call like when Beans and Kiss were going at it, what Royce was doper, the drunk or sober one, why I always thought Jay won the Nas battle, was Puff the reason why BIG never REALLY got at Pac and why rappers aren't the best mathematicians. Trust and believe this is just ANOTHER dope ep ya'll and don't forget to subscribe to our Mixcloud and You Tube pages!